← Life: Thanksgiving came early! Hey folks, we hope you are all having a lovely restful weekend however you are spending it! So, onto today’s post. On Tuesday we posted about our Thanksgiving decor, including a felt ball garland I had been making. 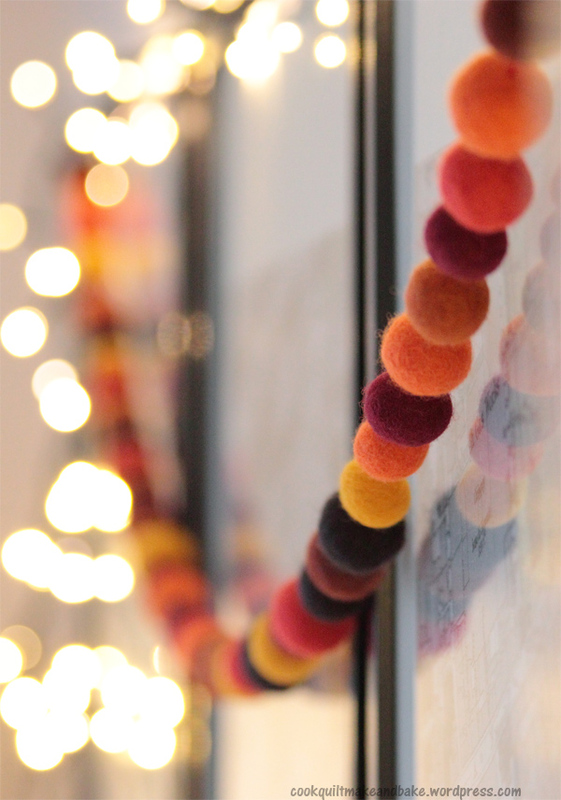 So I thought it would be fun this afternoon to stop by and, as our last fall post of the year, share with you how we made our felt ball garland. 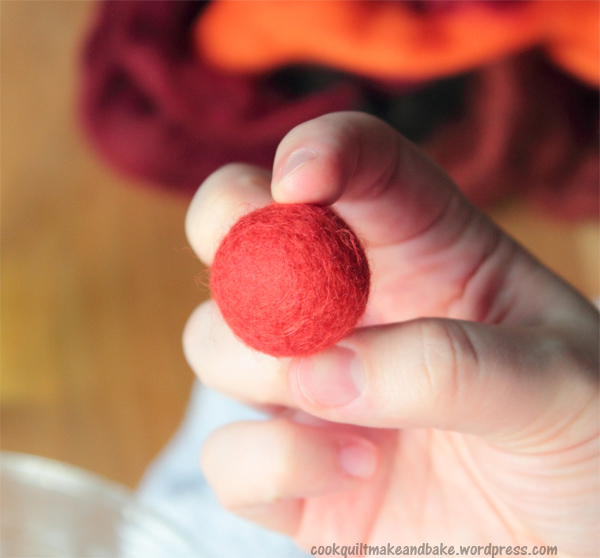 I’ve always fancied having a go at making felt balls. I think they look so cozy and cute all strung together and draped round things or across a window, or even on a Christmas tree. My one disclaimer on this project though would be that to make enough balls for a decent length garland (around 50 balls) ends up being a pretty big time commitment (I even enlisted help from Phil’s lovey sister Sarah at one point). 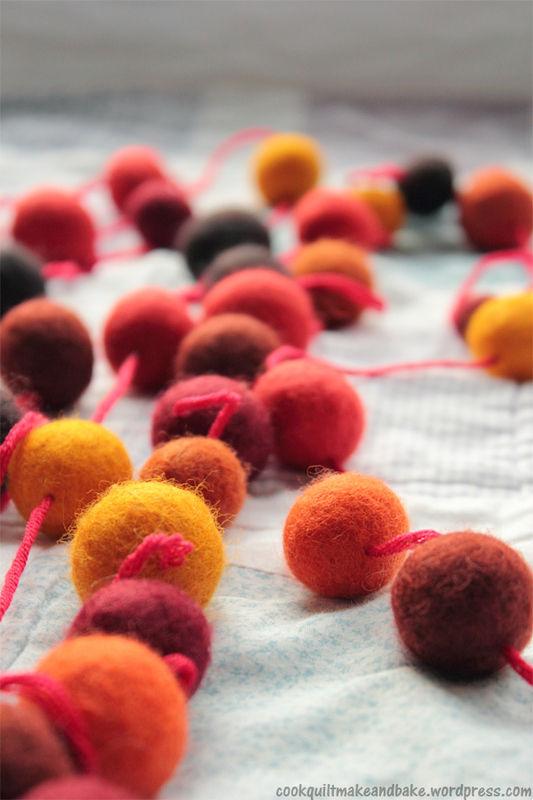 This is for two reasons really: firstly it takes around 10 – 15 minutes per ball to make them. Secondly, the process is a bit tough on your hands (lots of wool and warm water over an hour = pruney hands), so I could only really do 2 or 3 at a time before my hands needed a little break. 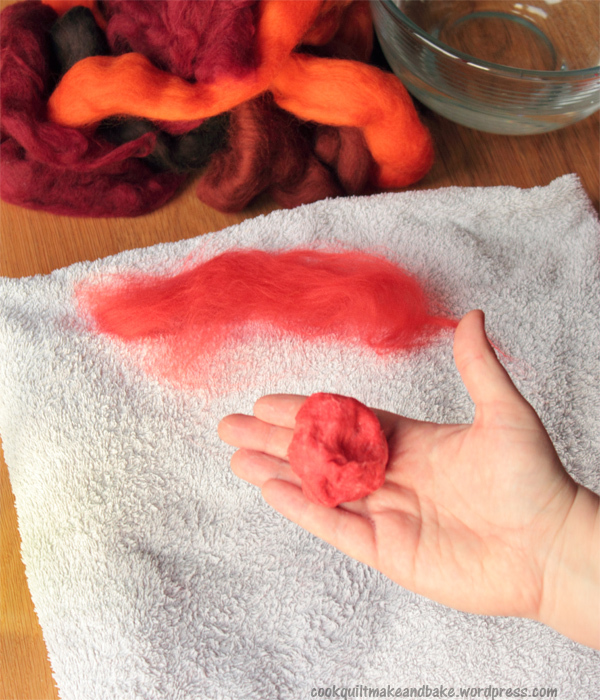 That being said, don’t let me put you off because I totally fell in love with felting in the process!! Even though it was long , it was actually very methodical and soothing. After about ball 5 you’ve got the hang of it and you can switch off and watch TV while you do it. Plus, I liked that if you only have 10 minutes to spare you can pick the project up and just make one without making lots of mess or having to get out lots of equipment. Also, as an aside, it has to be literally the cleanest project ever as its mostly just soap and water, and that makes odd-old-me quite happy. So, enough of the blather. On to the balls (yep, I’m saying the word balls a lot in the project and I’m not even ashamed :P). 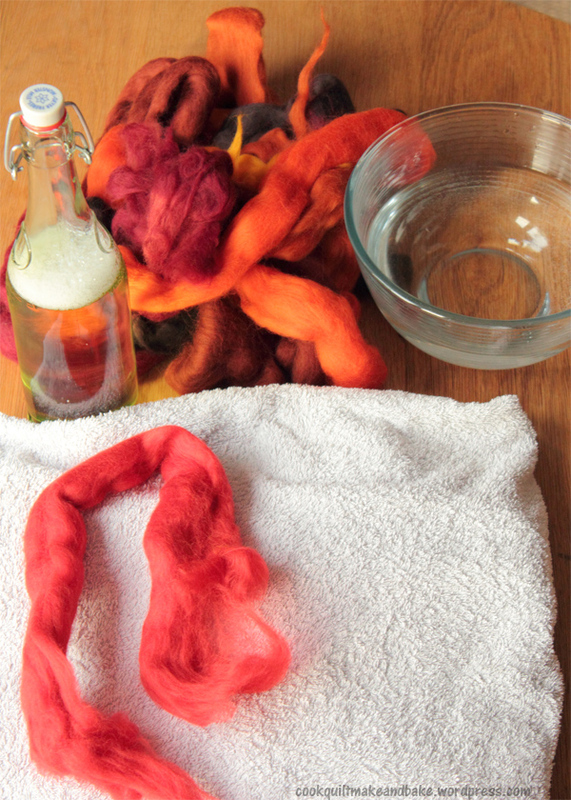 Wool tops are washed and carded wool which is not yet spun. 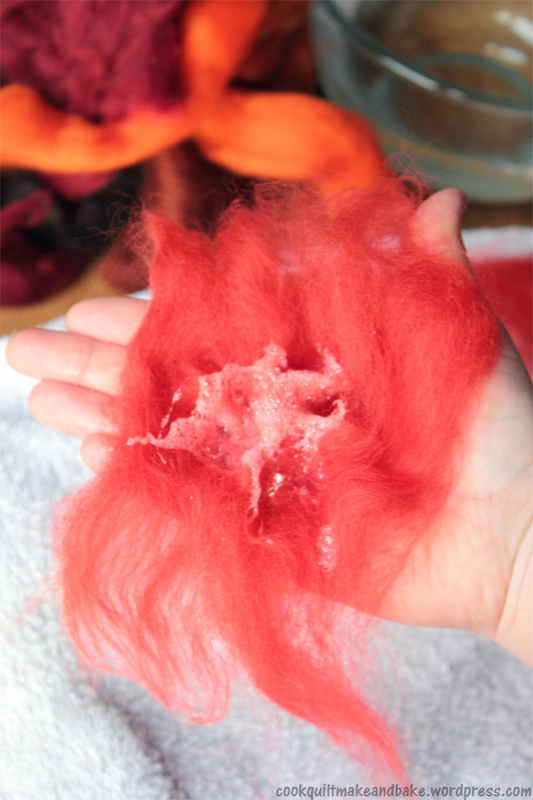 It is super soft and used in both wet felting (which is how we make the balls) and dry needle felting. I don’t know where my wool tops came from as they were a Christmas gift from Santa last year, but if you just Google them then they are pretty widely available online and in most wool / crafting stores. As a guide for wool volume. I used 100g of tops to make the 50 – 60 balls on my garland (each ball was around half the size of a golf ball). 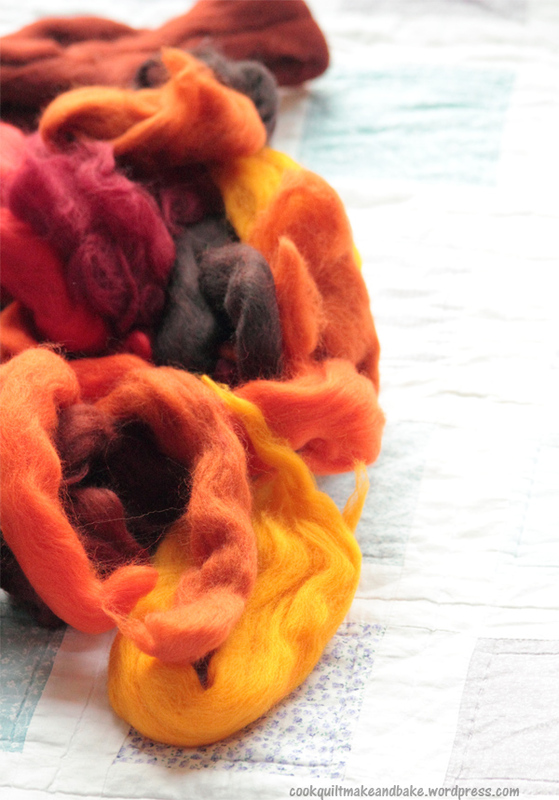 Even though 100g doesn’t sound like a lot, actually a little wool goes a long way. A bottle of warm soapy water – I used 2 teaspoons of washing up liquid in a 1 litre bottle, the water was just warm from the tap. A towel – this doesn’t get ruined, it is just to soak up the excess water from your hands so it doesn’t need to be an old towel, anything will do. 1) Grab a handful. 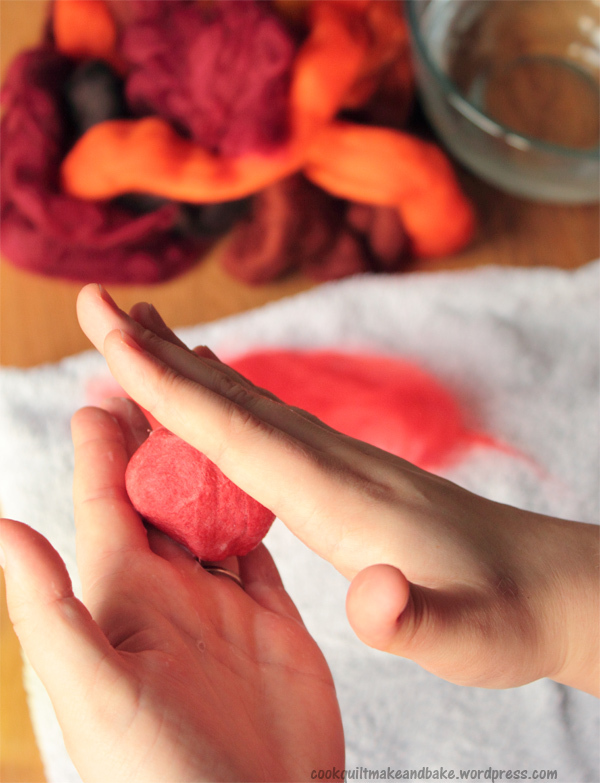 Taking your wool tops, pull off a handful of wool to make your felted ball (you don’t need to cut it with scissors, it should just pull away from the rest of the wool). 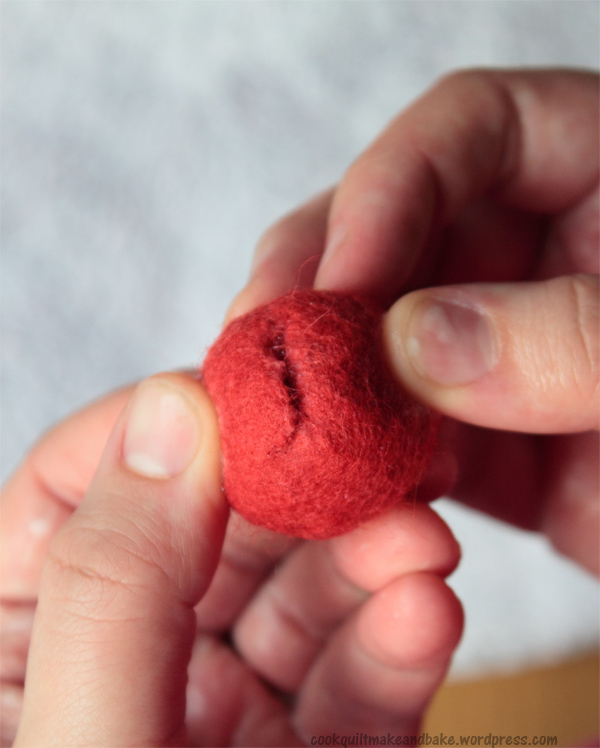 I was happy for my felted balls to all be different sizes so I didn’t measure, but as a rough guide a square of wool around 6″ by 6″ will make a ball around half the size of a golf ball. 2) Spread it out. Take the wool and spread it out into a even-ish thin-ish flat layer (this is to make sure you have no big clumps of wool, but this isn’t a exact art so don’t worry too much). Lay this layer over your palm. 3) Get soapy. 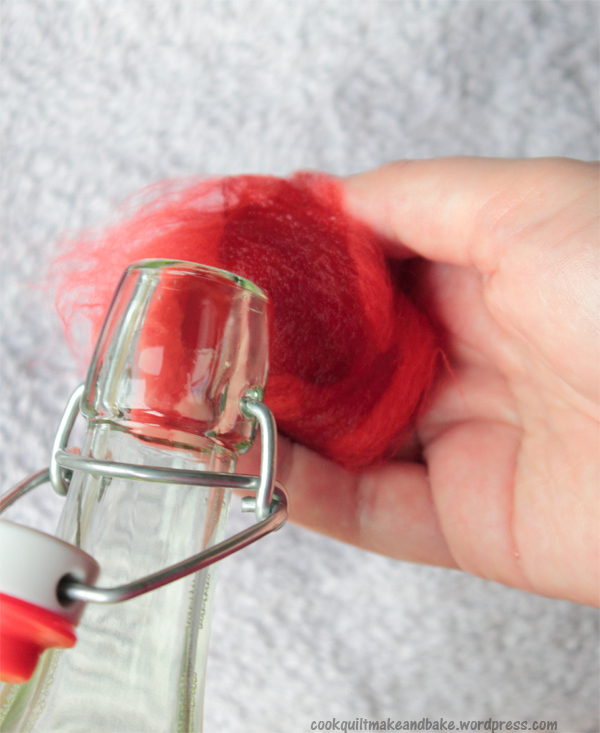 Taking your bottle of warm soapy water, pour about a couple of teaspoons of water over the center of the wool on your palm (don’t worry if it overflows a little, the towel under your hands should catch the excess). 4) Scrunch together. 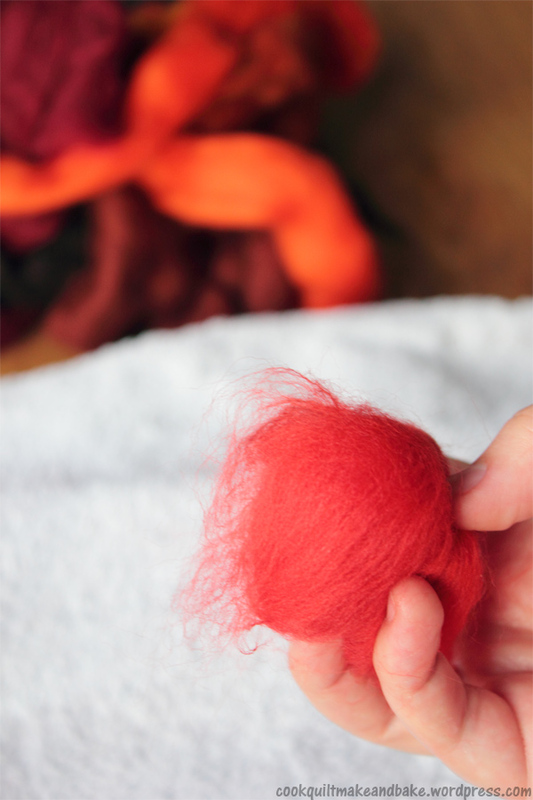 Using your other hand, make little pinching movements in the middle of the wool to start gathering it together into a rough ball. 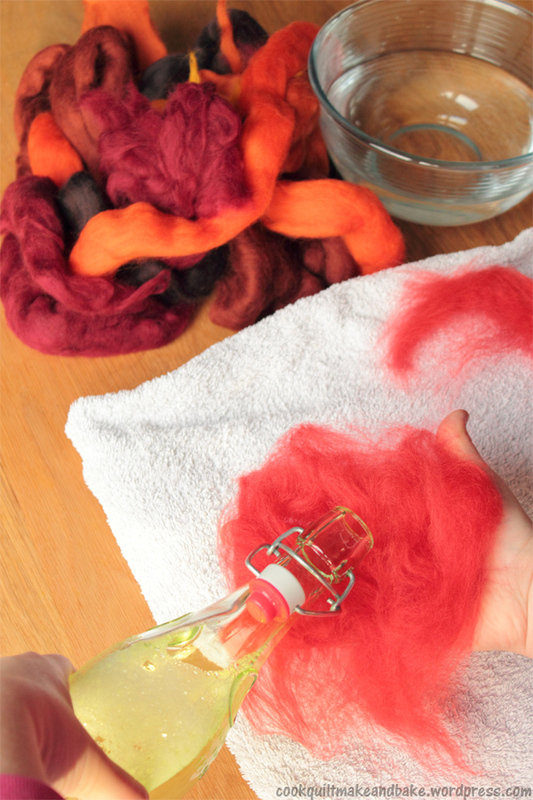 Continue pinching until the wool is all scrunched together, wet and soapy. 5) Start rolling. Very lightly, start to roll the ball between your two palms. If you find the ball is slipping and sliding around you are probably putting too much pressure. Just very gently, making circular movements, roll the wool ball round and round (as if you were rolling a ball out of dough or making a meatball). 6) Keep rolling. 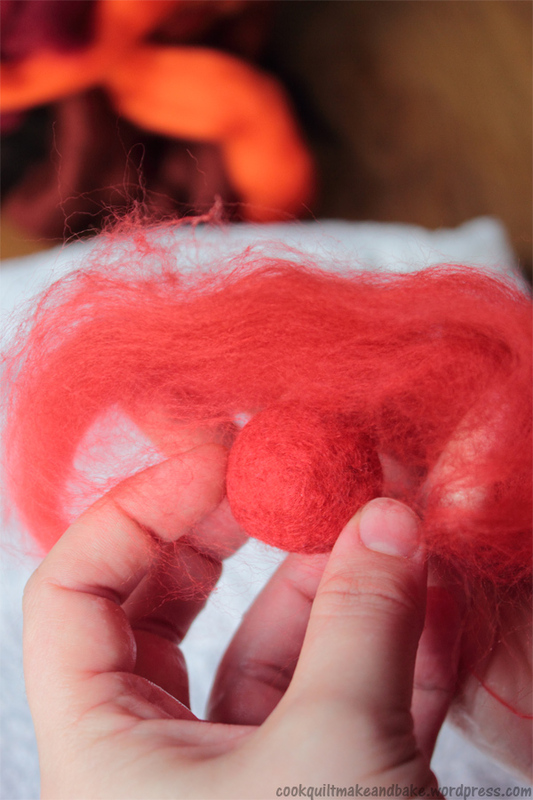 Eventually, over 3-4 minutes your wool should start to form a slightly firmer round ball shape. Don’t put lots of pressure on it, just keep going, gently until your ball comes together but is still squashy (it should be around 1/3rd smaller than you started with). 7) First rinse. 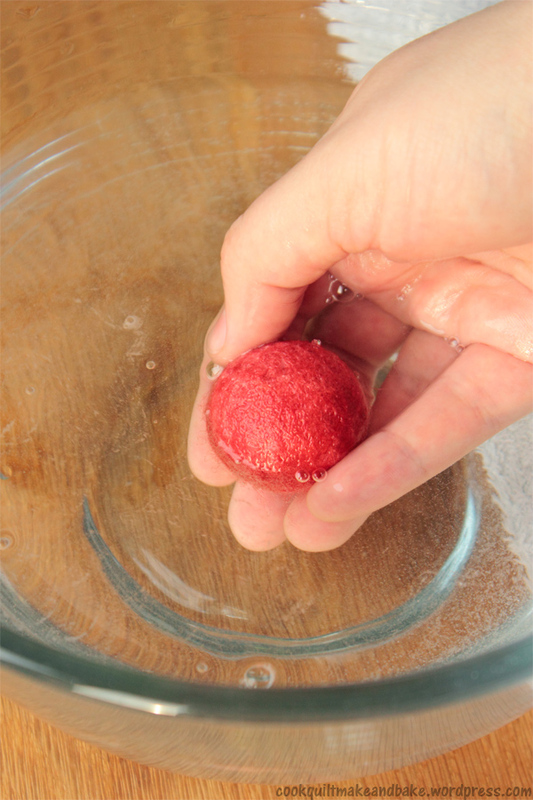 Rinse your ball in the bowl of warm water to get a little of the soap out. 8) Cover the cracks. Once you have rinsed it you might notice a few cracks in the surface. That is OK, don’t panic. That is what this next step is to solve. 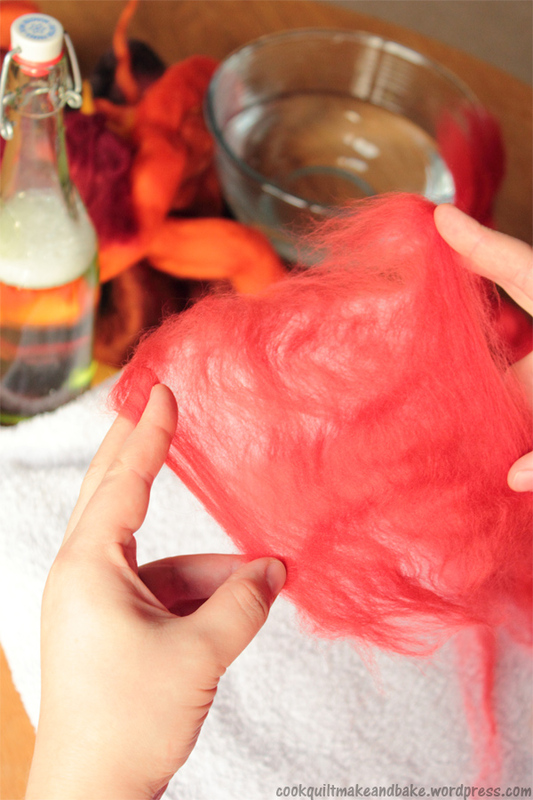 Take another much much smaller piece of wool (about 1/6th of the amount you started with) and spread it out into a very thin layer. 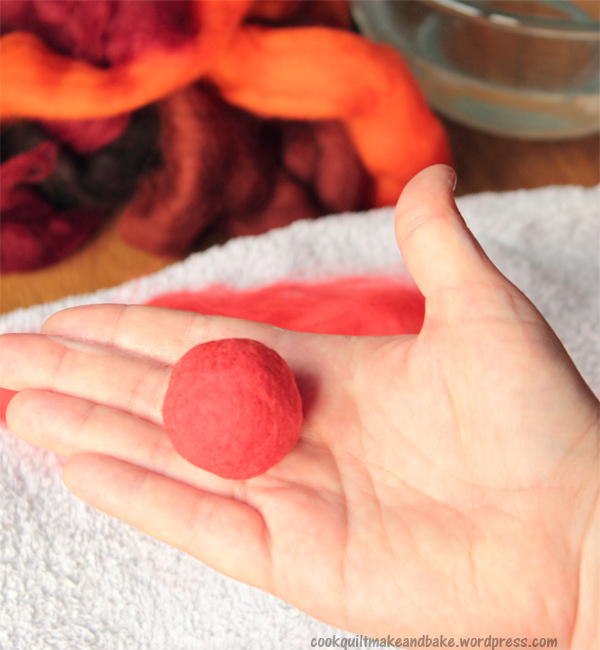 Wrap this thin layer around your felt ball creating a new outer layer. 9) Get soapy again. 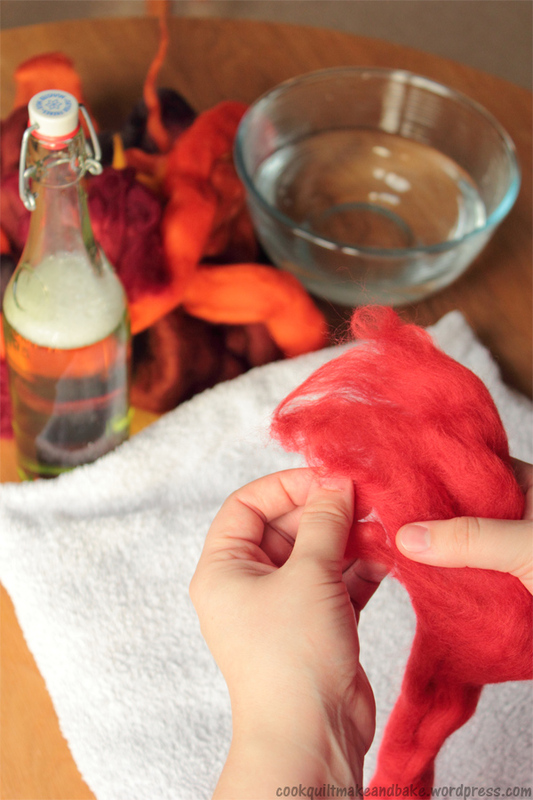 Pour another 2 tablespoons of the warm soapy water over your ball so that the new outer wool is totally soaked. 10) More rolling. Using the exact same rolling movement as before, and very gentle hands keep rolling the ball between your palms for another 2 – 3 minutes. It should now have a smooth, crack free outer surface. 11) Rinse and repeat. 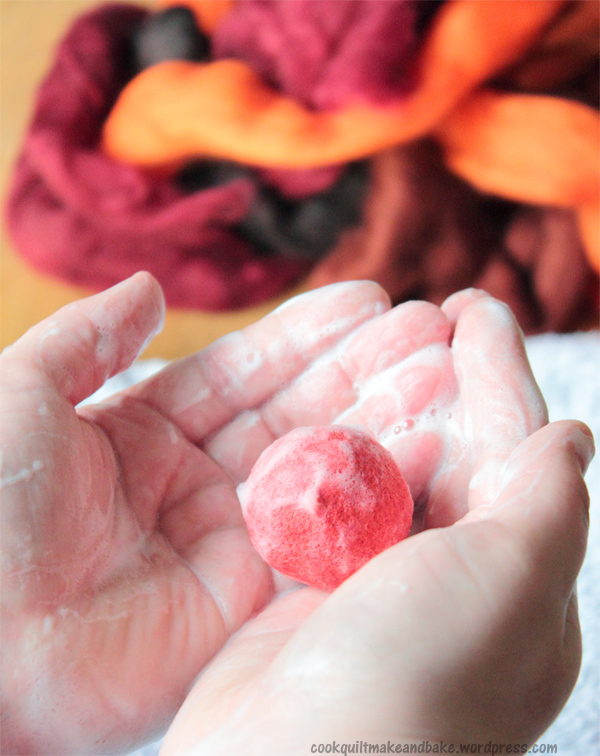 Keep rolling the felt ball for another 5 minutes, rinsing it in the soapy water every now and then (your goal is not to remove all the soap, I don’t think that is possible, but just to clean it off a little). As you roll you can start to put gradually more and more pressure on until it forms a springy ball, about half the size you started with. Once I had finished mine they were about the right firmness that they would bounce once if you dropped them on the table. 12) Thread together. 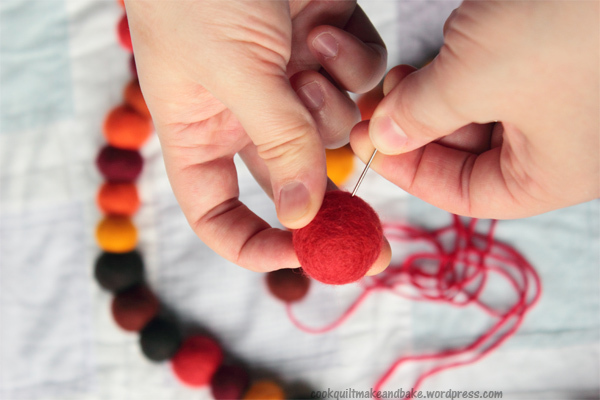 Once you have made all the balls you need for your garland, you can string them together by using a sharp needle, threaded with your garland string, and skewering them through the middle (if the balls are very firm you might want a pair of pliers to help you pull the needle through the other side). So there you have it, how to make felt balls described only using the word ball 38 (39 now) times) he he he. They are so versatile you could use them for just about anything! I also think they would be super cute placed in a vase or bowl as a seasonal table decoration. Or you could make a few big ones and use them as baubles. 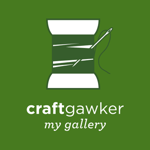 This entry was posted in Make and tagged christmas, craft, decorations, diy, felt, garland, holidays, thanksgiving, wool, yarn. Bookmark the permalink.